The Barnes family appears here on the Man family web site as a result of the marriage in about 1658 between Henry Barnes and Susannah Craddock. 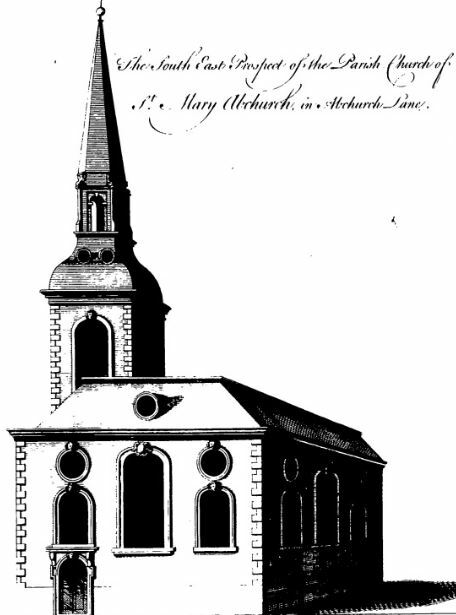 Their daughter, Susannah Barnes (1663-1737) married on 10 November 1691 at St Mary Abchurch, Canon Street, London, John Balchen and it is their granddaughter Mary Balchen who on 26 February 1746 married John Man. Susannah Cradock/Craddock was not Henry Barnes’s first wife. In about 1653 Henry married Hester Bave, the daughter of Doctor Samuel Bave and Hester Robinson of Bath, Somerset. However Hester died on 6 April 1659 and twelve days later was buried at Bath Abbey. When Henry married Susannah Craddock they named one of their children Hester. The Barnes family was originally from London (Hornsey) but Henry followed Samuel Bave’s footsteps by setting himself up as a doctor just outside Bath. 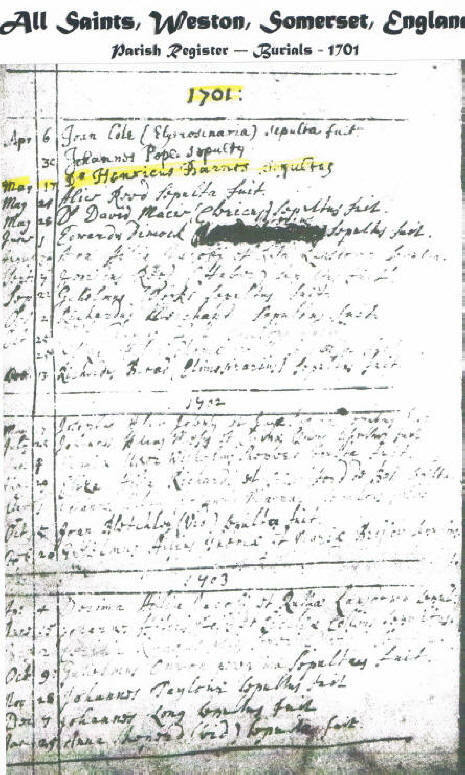 The Hornsey parish register has a marriage of Henry Barnes in 1658 to Susannah Smith. In the opinion of this family historian this is more than likely to be the marriage between ‘our’ Henry and Susannah but why Smith and why before Hester (Bave) Barnes’s death? Samuel Bave was very successful at what he did as the house he built for himself testifies (below). However his relations with his son-in-law appear to have been strained given the lengthy legal proceedings he launched into against Henry Barnes, his wife Hester, and Henry’s brother Symon. MEMORANDA OF FAMILY LAW SUITS. Prom Chancery Decree Rolls. In Easter Term, 1658. Samuel Bave, M.D., exhibited a bill of complaint against Henry Barnes, Hester his wife, and Simon Barnes [his brother] declaring that by indenture, dated 20 Sept. 1653, between the defendant Henry of the first part, the complainant of the second part, and the defendant Simon of the third part. In consideration of a marriage to be had between the defendant Henry and Hester daughter of the complainant, etc. Decree dated 1 Feb. 1658. (James I. to Charles II., Division 2, Part 1, Part 525, No. 7.) This settlement is in the process of being transcribed. 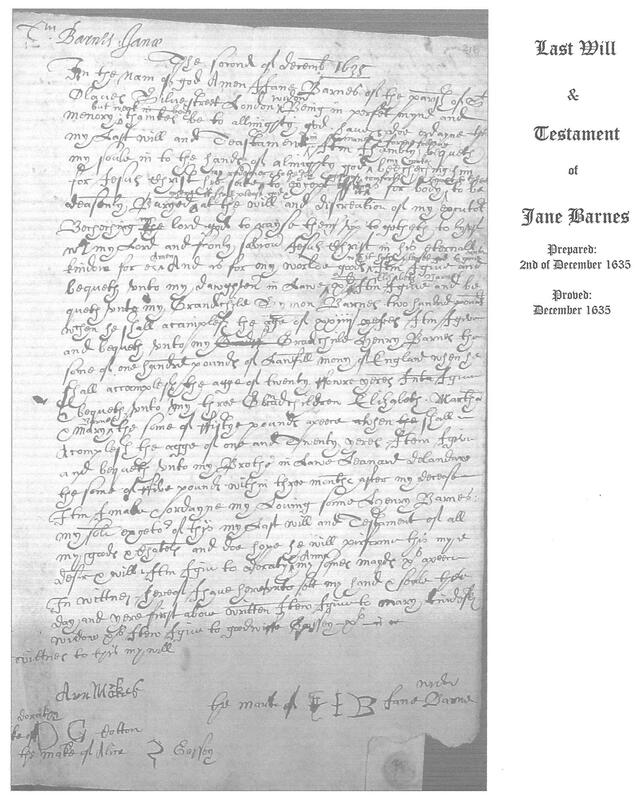 The will of Henry Barnes can be read HERE This Henry Barnes was the father of the Henry who married Susannah Craddock and the son of Jane (Hill) Barnes whose will appears below. Note that all these persons are the direct ancestors of the Man family. There was a legal dispute among Henry, Symon, and the other Barnes siblings details of which can be found here. the some [sum] of five pounds within three months after my Decease. Desir & Will. It[e]m, I give unto Doroby and Anna my Sonnes mayde x5 [15 sh] appeece. widow, x6 [16 sh]. Item, I give to goodwiffe [mistress of household] Easten x6 [16 sh].